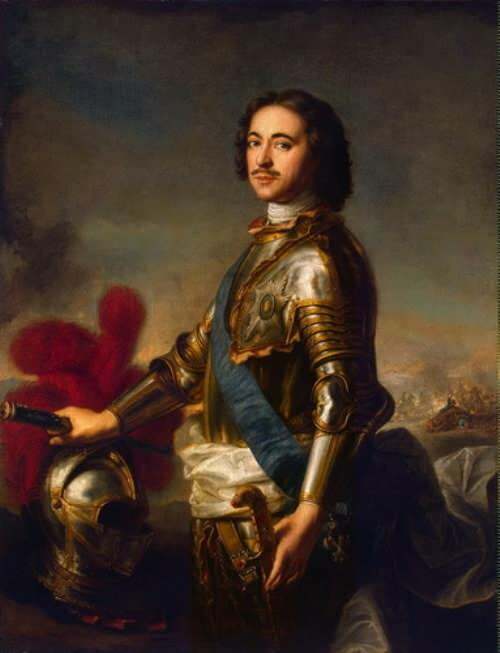 Peter I (1672—1725), better known as Peter the Great, was a key figure in Russian history. 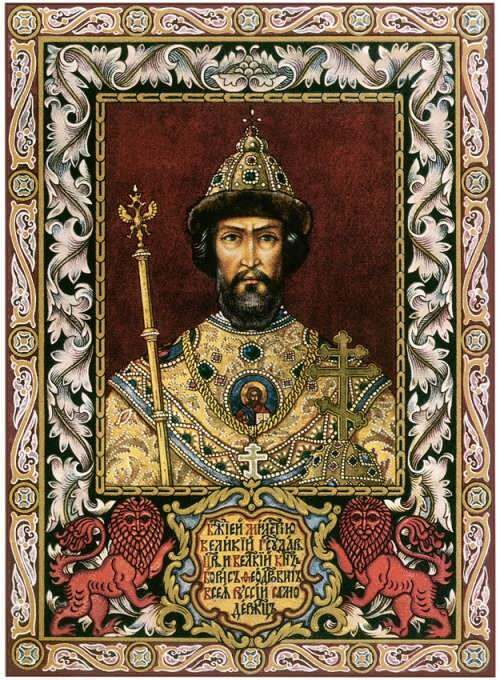 He created the Russian Empire, so he turned out to be the last tsar of All Russia and, accordingly, the first Emperor of Russia. 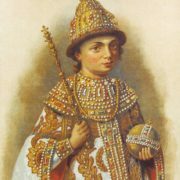 The son of the tsar, the godson of the tsar, the brother of the tsar, Peter was proclaimed the head of the country when he was only 10 years old. 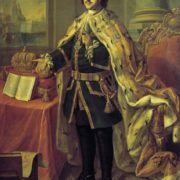 At the age of 17 Peter ruled independently, and in 1721 he became emperor. 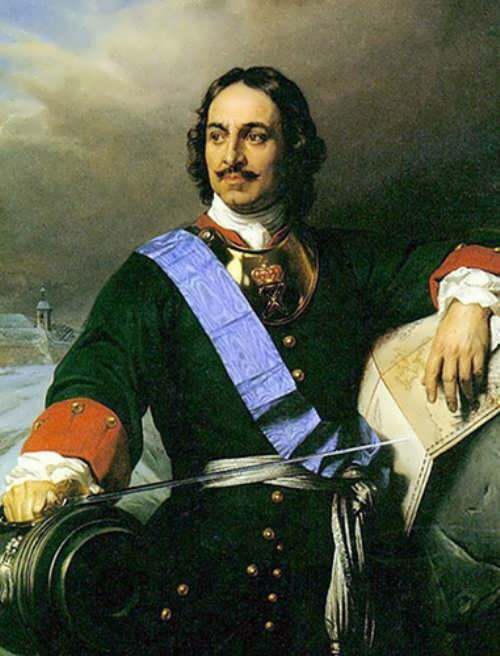 For Russia, the reign of Peter the Great was the time of large-scale reforms. 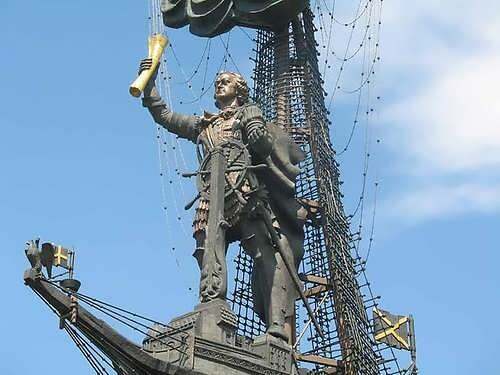 He significantly expanded the territory of the state, built a beautiful city of St. Petersburg, founded a network of metallurgical and glass factories, and also reduced the import of foreign goods to a minimum. 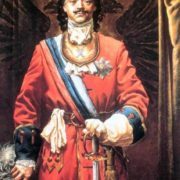 In addition, Peter was the first Russian ruler to adopt the best ideas from Western countries. The boy was born into the family of Tsar Alexei Mikhailovich Romanov and his wife Natalia Kirillovna Naryshkina. You know, he was the 14th child for his father, but the first baby for his mother. The boy was only four years old when his father died. 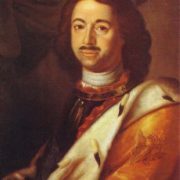 His elder brother and godfather, Fyodor III Alekseevich, ascended the throne and ordered to give his brother the best possible education. However, at that moment the Orthodox Church started a war against foreign influence, and all Latin teachers were removed from the court. Therefore, the boy was taught by Russian deacons, who did not have in-depth knowledge. As a result, Peter had a poor vocabulary and until the end of his life he wrote with mistakes. 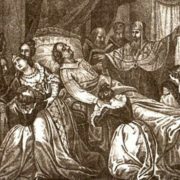 Tsar Fyodor III ruled for only six years and died because of poor health. 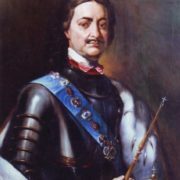 The Naryshkin family declared Peter the future Tsar. 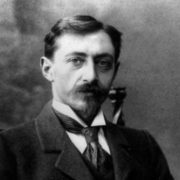 It was profitable for them, but the Naryshkins did not take into account, that the Miloslavskys would organize the uprising because of the infringement of the interests of Tsarevich Ivan. 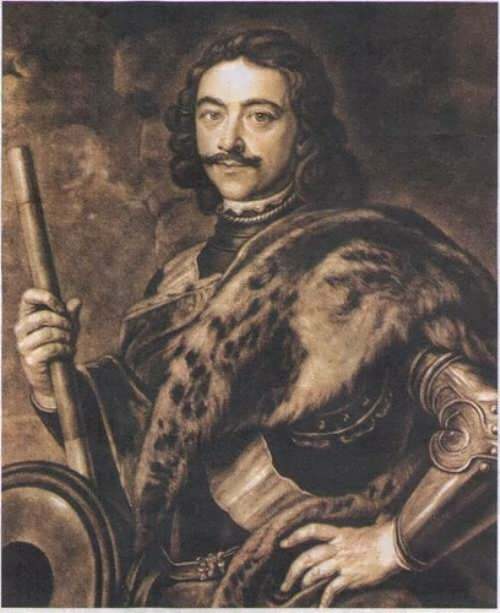 The famous Streltsy Uprising of 1682 took place, the result of which was the recognition of two kings – Ivan and Peter. 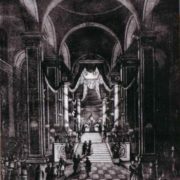 The Armory Chamber of the Kremlin still has a double throne for brothers-kings. You know, little Peter was fond of playing with his army. His peers were dressed in uniform and marched through the streets of the city, while Peter “served” as a drummer in his regiment. Later, he even had his own artillery. 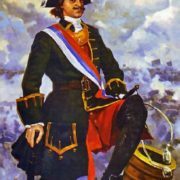 The toy army of Peter I was called the Preobrazhensky regiment, to which the Semenov regiment was later added, and, besides them, the tsar organized a toy fleet. 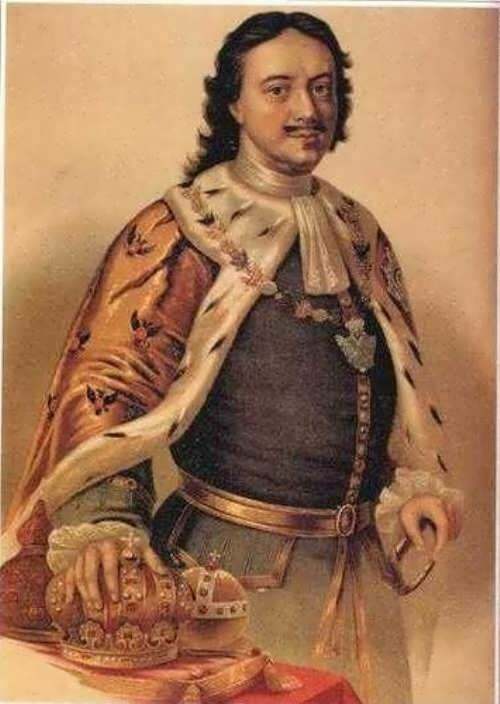 In 1689, his brother-co-ruler Ivan V finally gave Peter all power, although he was nominally a co-ruler until his sudden death at the age of 30. 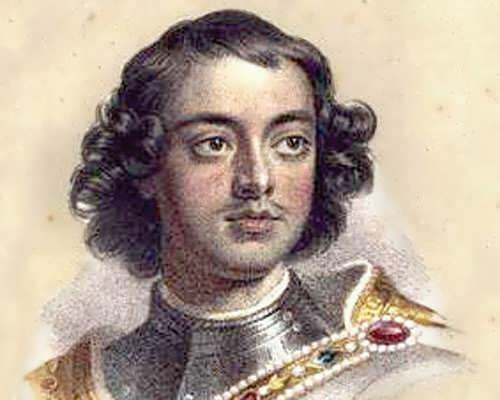 After the death of his mother, Tsar Peter became an independent ruler. 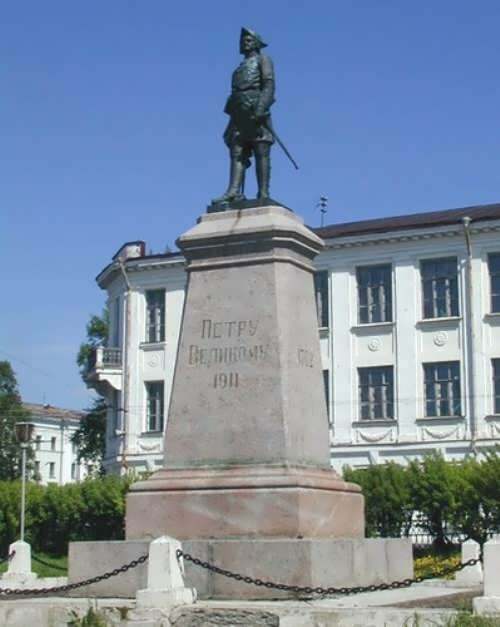 He continued military operations in the Crimea against the Ottoman Empire. There was a series of Azov campaigns, which resulted in the capture of the fortress of Azov. 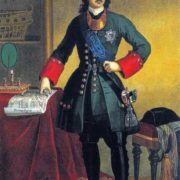 To strengthen the southern borders, the tsar built the port of Taganrog, but Russia still did not have a fleet, so the final victory was not achieved. Large-scale construction of ships and training of young noblemen abroad began. 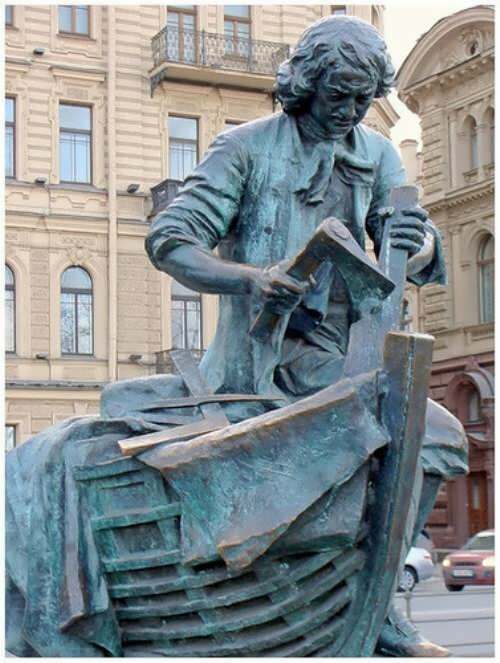 And Peter even worked as a carpenter on the construction of the ship Peter and Paul. 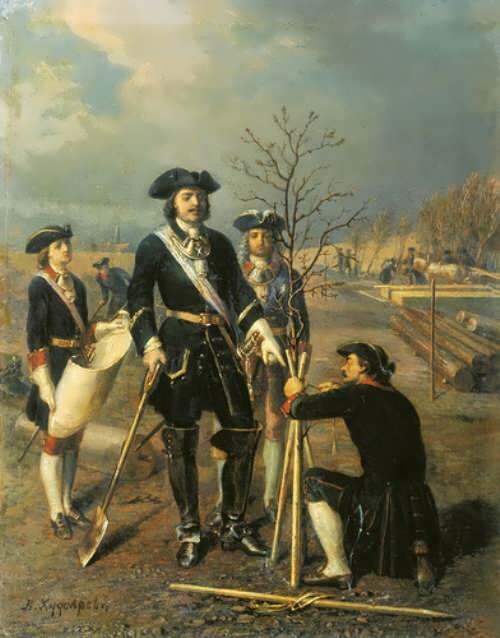 While Peter was studying technical and economic progress of the leading European states, his first wife became the head of the coup against her husband. After suppressing the Streltsy uprising, Peter decided to reorient military operations. 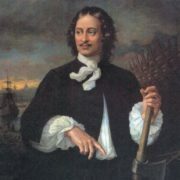 He concluded a peace agreement with the Ottoman Empire and began a war with Sweden. 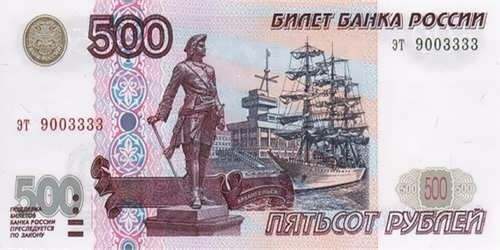 His troops captured the Noteburg and Nyenskans fortresses at the mouth of the Neva, where the king decided to start the city of St. Petersburg, and on the nearby island Kronstadt he placed the base of the Russian fleet. 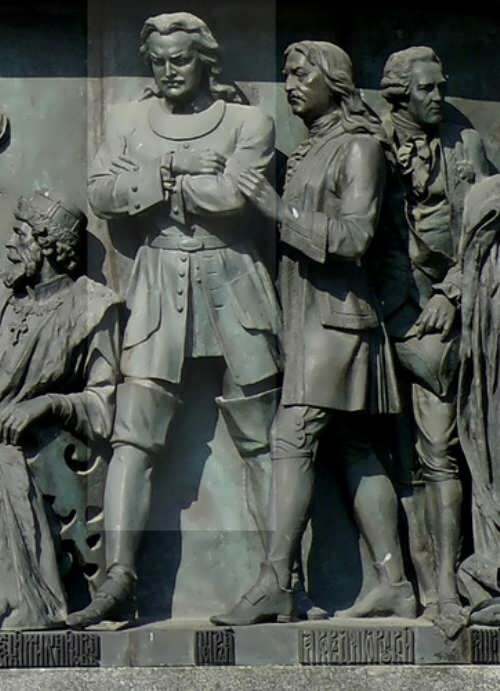 The conquests allowed to open the way to the Baltic Sea, which later received the symbolic name Window to Europe. 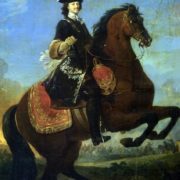 Later, the territories of the Eastern Baltic countries joined Russia, and in 1709 during the legendary Battle of Poltava the Swedes were completely defeated. And it is important to note: Peter unlike many kings did not sit in fortresses, but personally led the troops on the battlefield and really risked his own life. 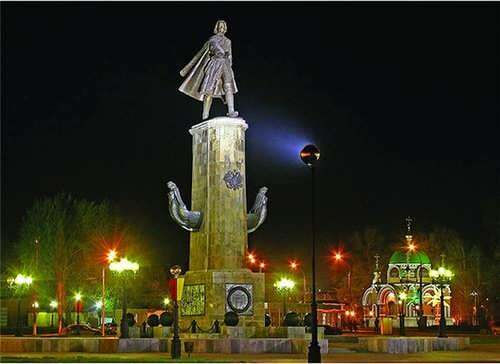 Thanks to his expeditions, the cities of Omsk, Ust-Kamenogorsk and Semipalatinsk were founded, later Kamchatka joined Russia. The tsar wanted to carry out campaigns in North America and India, but failed to realize these ideas. But during the so-called Caspian campaign against Persia he conquered Baku, Resht, Astrabad, Derbent, as well as other Iranian and Caucasian fortresses. However, after the death of Peter, most of these territories were lost. 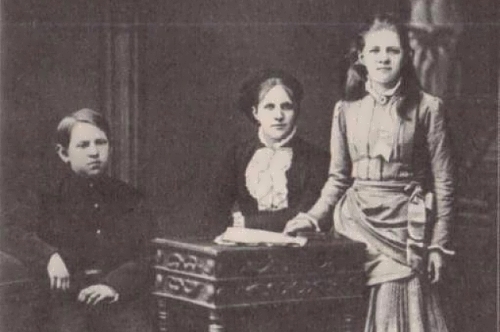 The first Russian newspaper and many translations of foreign books appeared. Artillery, engineering, medical, marine and mountain schools, as well as the first gymnasium in the country, were opened. And the schools could be attended not only by the children of noble persons, but also by the children of soldiers. 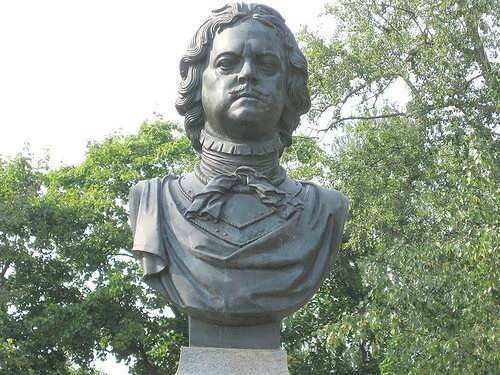 He financed the education of talented artists, introduced a new Julian calendar, tried to change the position of a woman by prohibiting forced marriages. 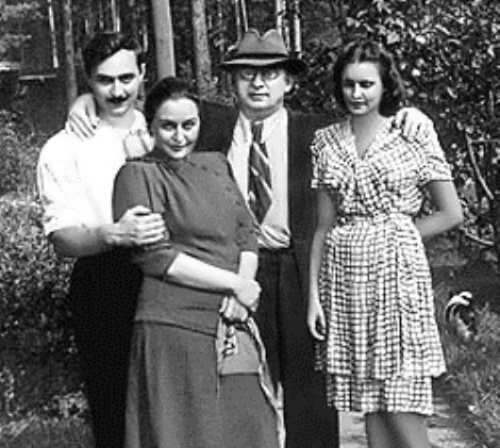 At the age of 17 he had to marry Evdokia Lopukhina. However, they did not have a normal family life: shortly after the wedding, Peter left his wife and visited her only to prevent rumors of a certain kind. They had three sons: Alexei, Alexander and Pavel, but the last two died in infancy. The eldest son of Peter was to become his heir. But in 1698 Evdokia unsuccessfully tried to overthrow her husband and was imprisoned. Alexei was forced to flee abroad. He never approved the reforms of his father and planned to overthrow the parent. 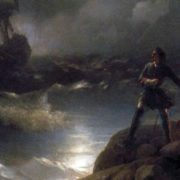 However, in 1717, the young man was arrested and taken into custody in the Peter and Paul Fortress, and the next summer he was sentenced to death. Soon Alexei died in prison under unclear circumstances. 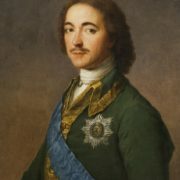 A few years after the dissolution of the marriage with his first wife, Peter made 19-year-old Marta Skavronskaya his lover. She gave birth to eleven children. Their wedding was held in February 1712. Marta became Catherine Alexeevna, later known as Empress Catherine I. The future Empress Elizabeth I and Anna, the mother of Peter III were among their children, while the others died in their childhood. 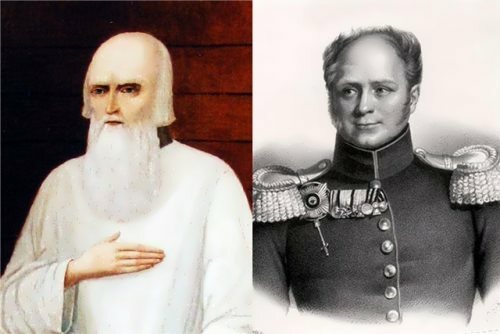 Despite the fact that his wife accompanied the emperor in all campaigns, he had a love affair with young Maria Cantemir, the daughter of the former Moldovan ruler, Prince Dmitry Konstantinovich. 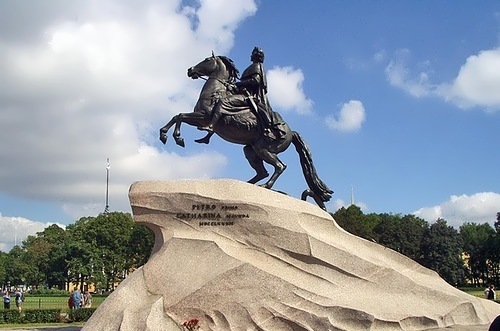 Maria remained the favorite of Peter the Great until the end of his life. It is worth mentioning the height of Peter I. Even for our contemporaries a two-meter-high man seems very high. But in the time of Peter I his 203 centimeters seemed completely improbable. According to the annals of eyewitnesses, when the Tsar and Emperor walked through the crowd, his head towered above the sea of people. The official cause of his death was pneumonia, but later the doctors had strong doubts about this verdict. An autopsy showed a terrible inflammation of the bladder. 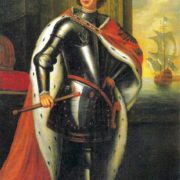 Peter the Great was buried in the cathedral at the Peter and Paul Fortress in St. Petersburg, and heir to the throne was his wife, Empress Catherine I. 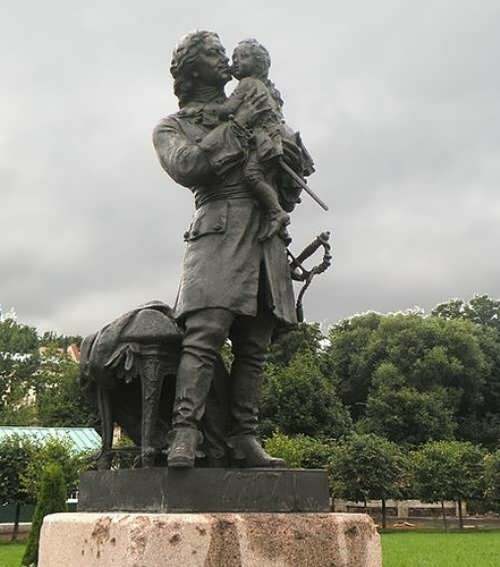 There are a lot of monuments to Peter in different Russian towns and cities.